A Virginia school bus attendant is facing charges for allegedly assaulting a child with special needs in his care, and the bus driver is accused of failing to take action. On three occasions In late January, a security camera on a Prince William County school bus caught Kelly Rucker aggressively grabbing a 12-year-old boy to try to restrain him from disruptions, court documents say. When that failed, Rucker punched the boy in the back of the head, court documents say. The boy reportedly asked for help from other children and screamed in pain throughout the encounter. Rucker faces three felony child abuse charges. The bus driver, Tamar McNear, is charged with child endangerment for allegedly failing to help the boy or alert school officials. “Unfortunately, you know, we had an adult that was on the bus — the bus driver in particular — who was an adult who witnessed the assaults and could have taken action to prevent them and to report the matter to authorities — either police or other school authorities — and that didn’t happen,” Prince William County police Sgt. Jonathan Perok said. School officials, police and Child Protective Services just began an investigation this month. 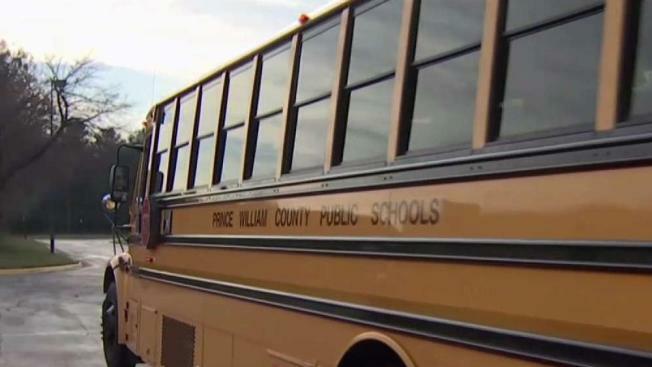 News4 has reached out to Prince William County school officials to find out why there was a lag. They declined to answer that but say the attendant and driver were removed from bus duty in January and from any contact with children. A statement goes on to say: "Employees arrested on felony charges are placed on leave pending the outcome of internal investigations. Any employee found guilty of a felony is automatically dismissed." Both the bus attendant and driver are due in court next week.